Residence Inn Lexington Keeneland/Airport Lexington, Hotel null. Limited Time Offer! 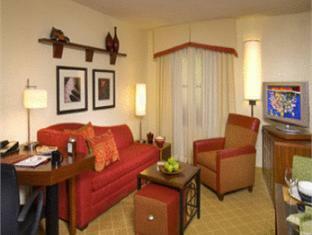 Residence Inn Lexington Keeneland / Airport. 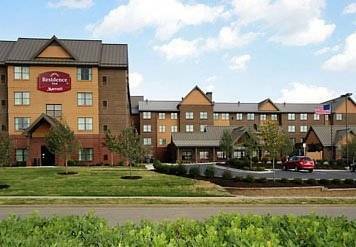 "Residence Inn Lexington Keeneland / Airport" has obtained 3 stars. It is perfect for visiting Lexington. "Residence Inn Lexington Keeneland / Airport" runs a shuttle bus to help you get around. Thanks to the relieving air conditioning, the temperature of the rooms is never too hot. Visitors can get some fresh air in the privacy of the inner courtyard or go for a pleasant swim in the covered and outdoor pools. For guests who appreciate participating in some sporting activities, the residence offers horse riding. The facilities also include a gym where guests have the option to exercise on their own. For your well-being, there is a spa, a pleasure after your activities of the day. This accommodation has its own restaurant for your gustatory enjoyment. Breakfast is served every morning to provide you with a good start to the day. Business people will appreciate that Internet access is offered at no extra charge.